"Under the Rooftop Home Inspections"
His soft skills, comprehensive technical home building background & great sense of humor can't be beat!! He is a true pleasure to work with and my clients appreciate his honesty and expertise. 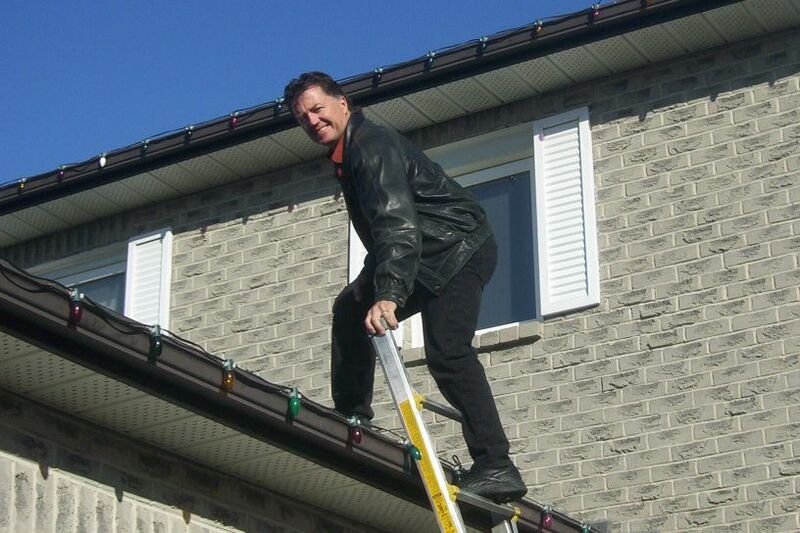 Dave’s experience goes back 25 years and includes: Custom home building, Home design & Home renovations. Dave is a fully licensed Home Inspector. Dave's extensive 2.5 – 3.0 hour home inspection covers from the top: Inspecting & video taping the entire roof and attic system down to pointing out the invisible hair line cracks in the basement foundations. His thorough home inspections turn up the most basic minor repairs and can discover hidden major problems with the home. In some cases Dave has caused solid deals to come to an abrupt end!! Unfortunately, that’s Dave job!!! Bottom Line, Dave Snooks bends over backwards to ensure my clients future home is safe and sound. His claim to fame: “I never done a home inspection and not found a problem.” (I can vouch for that)! When my clients are making huge financial decisions, it’s nice to know that Dave is here for them. Everyone should have a home inspection when buying a house because it will reveal potential problems with things like the structure and condition of the house. 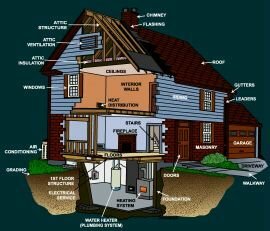 An inspector will examine everything including the roof, plumbing, electrical systems, septic or sewer systems, heating and air conditioning units, insulation, and much more. Whether a home inspector can join you on the PDI is unclear. Some builders have no objection; others adamantly say no. As builders still own the house, they can veto who attends. Rather than set an industry-wide standard, ONHWP(TARION) regrettably has left the decision to individual builders. So check the builder's policy in advance. Increase your home's marketability with an impartial pre-listing inspection report. Identify and correct problems early by making necessary repairs prior to listing your house. Set a realistic sales price for your home based on information from the inspection report. Eliminate last-minute delays due to undisclosed home repair problems. Home inspections are an important step in the home-buying process. David Snooks will assist the home buyer in maintaining the health of the home. Dave’s home inspections make home maintenance easier by catching small problems before they become big problems! Dave will perform a thorough examination of your home to detect any potential systems or components requiring attention. You will receive a detailed report of the condition of your home so that you can plan for needed repairs and upgrades when it’s time to make them. 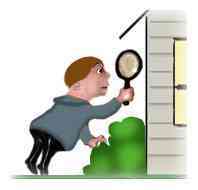 Who attends a home inspection - Purchasers, Purchasers Sales representative (ME) & Home Inspector. When a home inspection is completed, l ask that the current homeowner(s) are not present and that 3-hour window is blocked for the home inspection to be completed and fully reviewed. Dave will show up to the home 30 – 45 prior to the home inspection and will complete the exterior of the home. Dave will then meet with the Buyer and explain the entire Home Inspection process. As well he will outline line the Home Inspection manual. At this time Dave will spend the next 1 – 2 hours going over the entire home. He will make notes, recordings, and videos of all components of the home. While Dave is doing the inspection the home buyer is encouraged to spend time checking appliances, smoke detectors, measuring for furniture etc. and becoming acquainted with their new home. Dave will then meet with the Home Buyers and review the entire Home Inspection and his findings, outlining any minor or major issues he has found. He will explain what maintenance will be required on the home as soon as possible. As well will point out what ongoing maintenance the home will require to keep it updated and healthy. Also included is a cost estimate worksheets for any improvements the homebuyer may want to do in the future. Flooring, Roof Replacement, etc. After reviewing the Home Inspection manual Dave then completes a walk around of the entire home with the Home Buyer, detailing his findings. Don’t worry about taking notes; you will take a 3 inch Home Owners home Inspection manual with you, detailing the entire inspection and your homework. 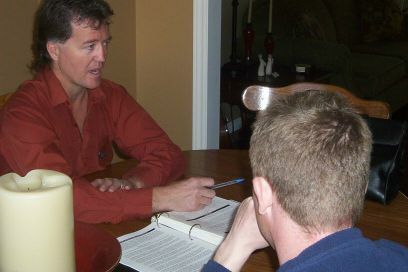 After reviewing the home Inspection manual and touring the home with the Buyer, Dave job is completed, however, the relationship does not end. Dave is always available for follow up and will re-visit the home to inspect problems that the Vendor may have to repair. What if Dave finds major problems with the home???? If problems are found the Seller may agree to resolve and repair the problem at his/her own expense. An amendment to the agreement of purchase and sale would have to be drawn up to indicate the Seller agrees to correct any problem(s). In addition it can be set out in the amendment that Dave has the right to re-inspect the work and that it has to meet Dave's standards for the deal to be completed. On several occasions Dave has been more than willing to take calls from past clients for home maintenance advice. Don’t hesitate to contact Dave with your questions! Dave’s great sense of humor, in-depth technical knowledge of home building and superior people skills, has made Dave Snooks a vial part of the AURORAestate.ca team.